Welcome to browse our wide range of fabrics for made to measure cushion covers. 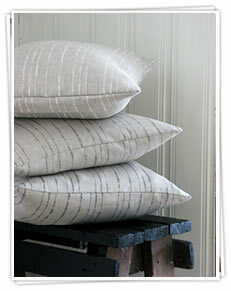 Ada & Ina's Made to Measure Cushion Covers are made of 100% Natural Fabrics. Please select the fabric you would like to use, select the size and style and get a price for your cushion covers instantly. TIP: If you are looking for plump, filled out cushions, you should always get a cover that is a bit smaller than the inner.